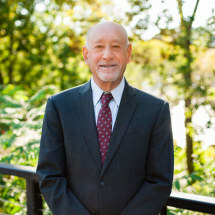 Avi joined the firm in 1989 after practicing with his father in Green Bay since 1976. His principal responsibility at Peterson, Berk & Cross is the personal injury practice at the Green Bay office. Following graduation from the University of Wisconsin Law School, Avi was selected for a judicial clerkship. In Avi's legal practice since, he has gained extraordinary experience in the trial of a broad array of different types of civil, criminal and business cases, and for more than 20 years has received the highest possible rating from Martindale-Hubbell. Avi was selected as one of the region's best personal injury attorneys in a survey by Fox Cities Magazine. For many years he has represented his Brown County district on the Wisconsin Association for Justice Board of Directors. He has lectured extensively on personal injury and other civil trial topics to lawyers throughout the state. Avi has repeatedly been selected for inclusion as a Super Lawyer by Milwaukee Magazine. Only 5 percent of attorneys in Wisconsin are chosen each year for inclusion as a Super Lawyer. Avi has been double board certified as a Civil Trial Specialist and a Civil Pre-Trial Specialist by the National Board of Trial Advocacy. He has also been elected to membership in the American Board of Trial Advocacy (ABOTA) and as a Fellow of the Litigation Counsel of America. Avi serves as a legal analyst and consultant to local television stations to appear on-air and discuss current legal topics. Avi lives in the Green Bay area with his wife, Laurie, where he has long been very active in support of the arts and charitable causes.